Steel is alive and kicking in the Ottawa Valley!!!!! Glad i finally seen this. Williams SD10 ZumD10 Fessenden D10 . Evans RE150 peavey N400's GKMB 200 emminence speakers!, Live steel strings. Hey Pat Coyne. It's been a while. BTW it's Anne not Amy, but I'm still here eh! However Lou's been in a long term care facility for many years now. To Billy Webb. Billy unfortunately I have to tell you that Patty passed away several years ago from cancer. I always enjoyed being on stage with her. Currently playing my Fessenden SD10 in the Ottawa area, mostly with "Bruce Enloe and the Burning Sensations", as well as a few others. Count me in, I live in Perth Andover, which is a border town, so i play on both side of the border..
Hey Shawn so sorry I missed you. There's probably another 4 or 5 i missed .. My old head just doesn't work sometimes. 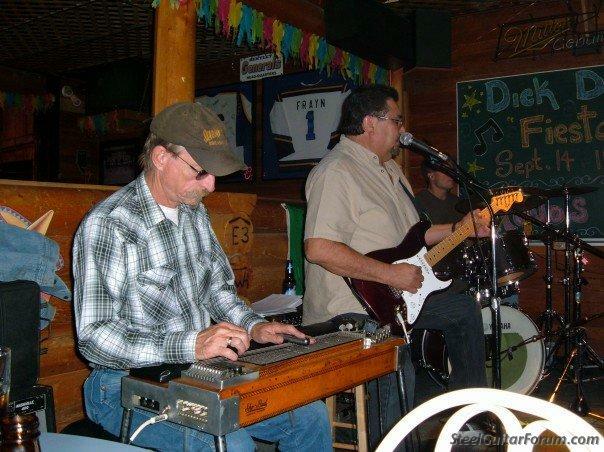 Bob Lucier is a master of the pedal steel. His recordings & solo albums show his virtuosity. Great guy too! Some other notables missing here are Ron Dann, Steve Smith, Dennis DeLorme & Burke Carroll. I'm not playing any more but include myself also. If it’s cryin, you ain’t lyin!! Mike H, you belong right up there with the other notables you mentioned. I remember seeing you with Morgan Davis (at the Isabella maybe?) way back in the 80's. Canada has missed you. Thanks Bob; Those were the days!! Toronto had a very unique scene going on. Let's not forget Buddy Cage while were on this subject. After I left Toronto for the first time you wound up playing with a former bandmate of mine - Mike Bagan. With Sebastian and also Bazil of Blue Rodeo fame as I recall? Yes a scene for sure - some highs and lows. I don't miss the Orchard Park Tavern. Or the Matador……. Yes, Mike, all of those you mentioned. They are all fine people. Let's not forget a friend of mine, Dale Rivard, from Tilbury, On. A pro and a fine person to call my friend. I'm just outside Woodstock Ontario, in Princeton, Ont. Been trying to learn for about a year or so. Loving it and learning lots from all the great people on this site. Hey Mark, pleased to meet you. Why not come see me in London? I build these monsters in my shop here. You're welcome any time! Ronny Dann passed away quite a few years ago, as did Larry Dee, another fine Ontario player. Thanks Bent, I may just do that. I grew up in London. I would love to see your shop. Hi Graham; I remember Larry Dee, I was at Ron's funeral, he was honouered by his friends & family in the most touching display of life & love I've ever witnessed. A wonderful human being. 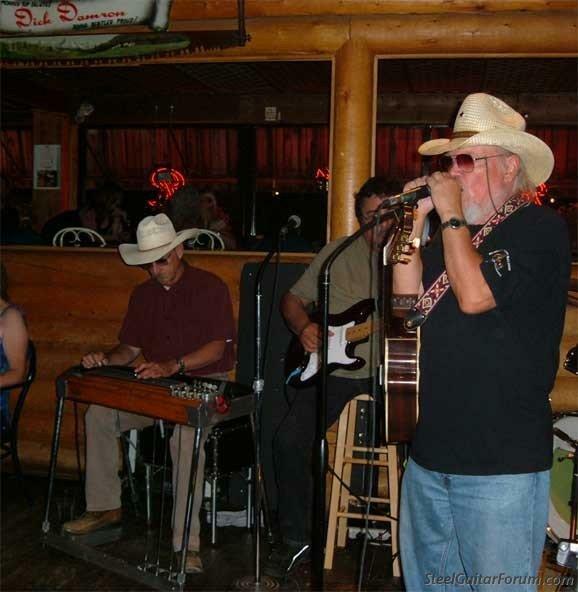 Bent, Dale Rivard introduced me to Franklin steels which I've played ever since. Yes there are talented Sask. players out there, notably Randall Currie who's tearing it up on the charts with Brad Paisley these day. Randall also studied with Ron. I guess I need to add Kyle Rhodes in here, a transplanted American picker. He's the son of the late Bobby C Rhodes who toured with Webb Pierce, Wanda Jackson, and a few other names. Kyle lived in Trail BC for a spell, now, as far as I know, lives somewhere in Vancouver. He was born in Minneapolis and picked many times with Hal Rugg. Why doesn't Kyle post himself? He is totally, completely, in every manner of speaking, computer illiterate. He was able to figure out his 14 stringer with eight pedals & levers, but cannot figure out the computer. Hello from Canada - just north of Calgary Alberta. I've been lurking on the forum for years and just got around to joining. Been playing PSG for almost 45 years off & on (mostly off the last 15 years - playing bass). Now that I'm retired I thought I'd dust off the old Sho~Bud and start picking on it again. Are there any steel players between Red Deer and Calgary out there that are playing or jamming these days? I probably wouldn't call myself a player but as a friend of mine say "I own one". Part time Halifax, part time Zephyrhills, FL. Another one here in Central Alberta. Hi there, my name is Dan, hailing from Toronto. New member and still pretty new to steel. 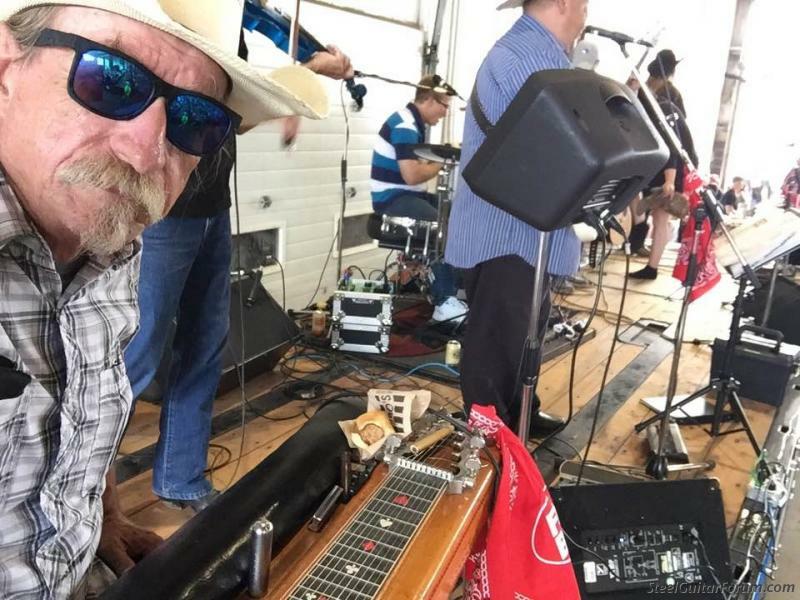 I have always liked the sound of steel guitar, but only began playing about a year ago. But I've got the bug bad! I am amazed at all of great information and people on here who are willing to share what they know. I am glad to be a part of it! P.S. Dean that Sho Bud looks real nice! I'm trying to be a steel player. Right now I'm "that guitar player who keeps bringing his steel to gigs even though we don't ask him to". 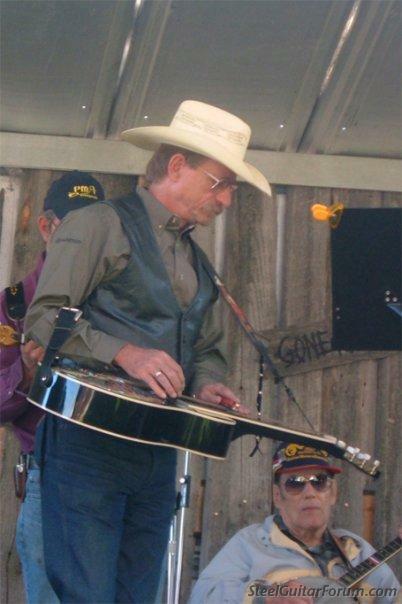 Dwayne, I think I met you at the Daines Ranch last month...you play a beauty of a Desert Rose if I recall? Anyway...I've been playing a year and a half and sure would love to find someone in the "780" to get together with and get a few tips from.